Today’s session – Generation X: How Soon Is Now – at the California Association of Museums annual conference was a standing-room-only affair. We probably crammed close to 100 mostly GenX-ers into a room at the Napa Valley Marriott – as I joked, probably all of the GenXers at the conference were in the room! Our presentations ran the gamut from personal stories about growing up as latch-key kids to introductions to 19 international museum leaders (who happen to be GenX) to career advice to look for institutional needs and match them with your own strengths. 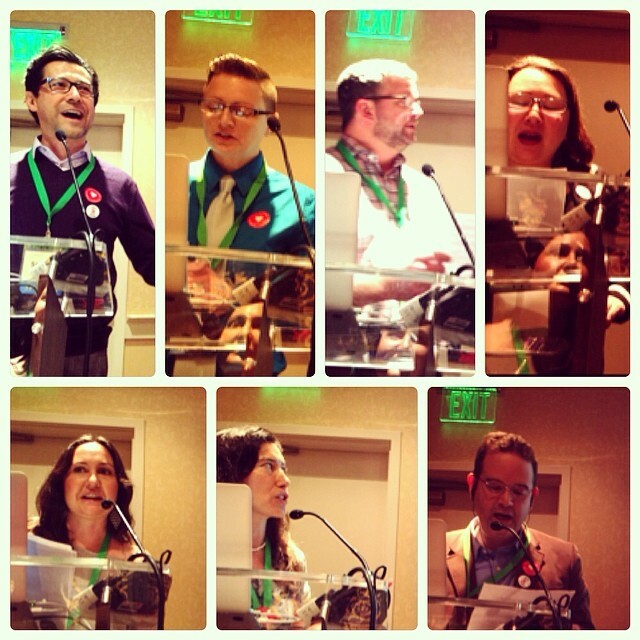 As at our original session at AAM in 2012, we struck a nerve. The Q&A following the presentations went on well past the official end of the session – until finally I “pulled the plug” at 11:30. Hopefully some of you reading this were at the session – we’d love to know what you though. Tell us in the comments – or if you have a lot to say, become a blog contributor! Email me jennifer at caleshu dot com and I’ll be happy to invite you. non-profit, culture, museums, mom, biz school student, wife, sister, daughter, baker, #GenX. Posts are my own. I really enjoyed the Gen X session, sitting right next to my boss (a fellow Gen Xer), we’ve been thinking about the organizational structure of our museum and how we can use what we learned to bring about change….it was informative and inspiring! I also loved the session! It was great to hear that your ‘path’ doesn’t have to be linear and straight, but is often crooked – with detours. Thanks for the inspiration! Wonderful! Thank you for sharing your thoughts – we’re so glad you made it to the session!